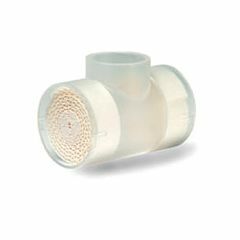 AllegroMedical.com presents the Thermovent Heat and Moisture Exchanger T HME. Thermovent provides efficient heat and moisture recovery. Exhibits low resistance to flow and high moisture output which helps to minimize the loss of heat and moisture. Recommended for the spontaneously breathing, tracheostomized patient. worked well for my daughter.